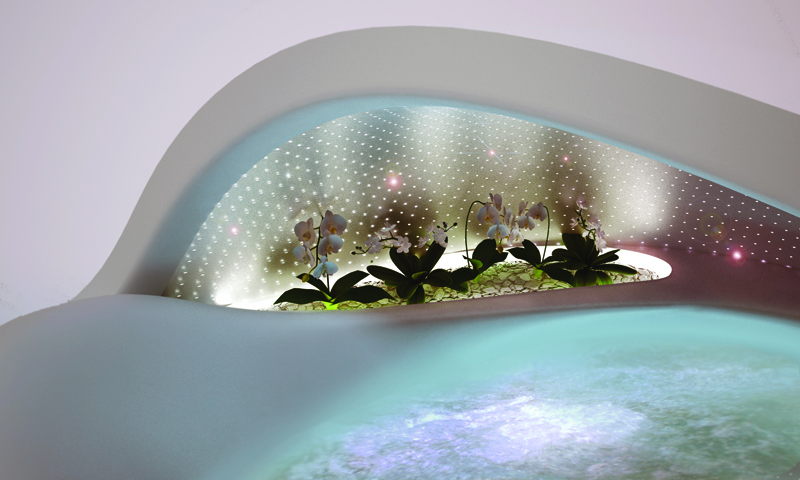 The inspiration of this organic-shaped Spa comes from the mother of pearl. 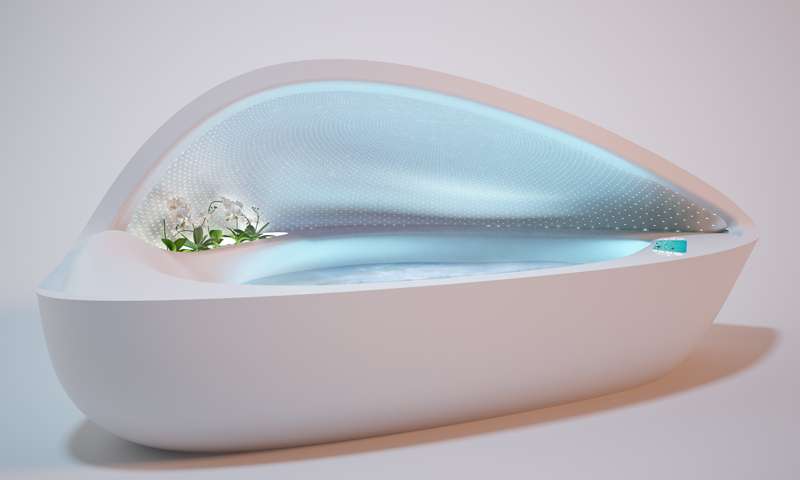 The uniqueness of this luxurious bathtub is in its shape and features. 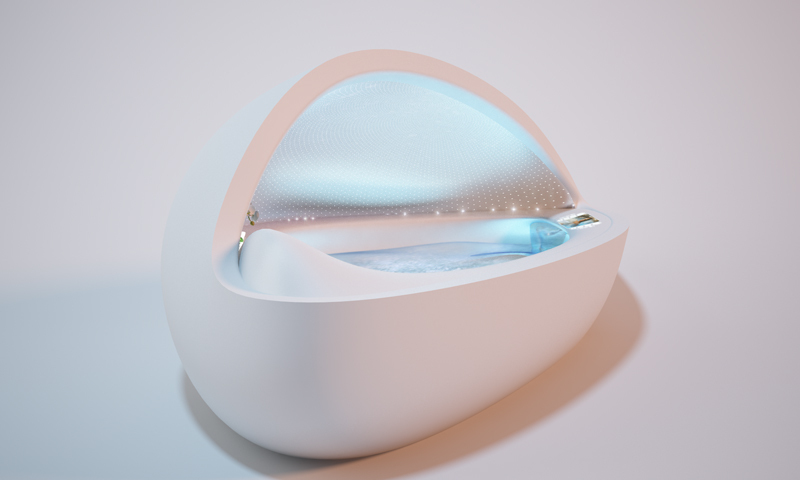 It allows a sensuous escape from stressful life, by stimulating all the five senses and soothing them. 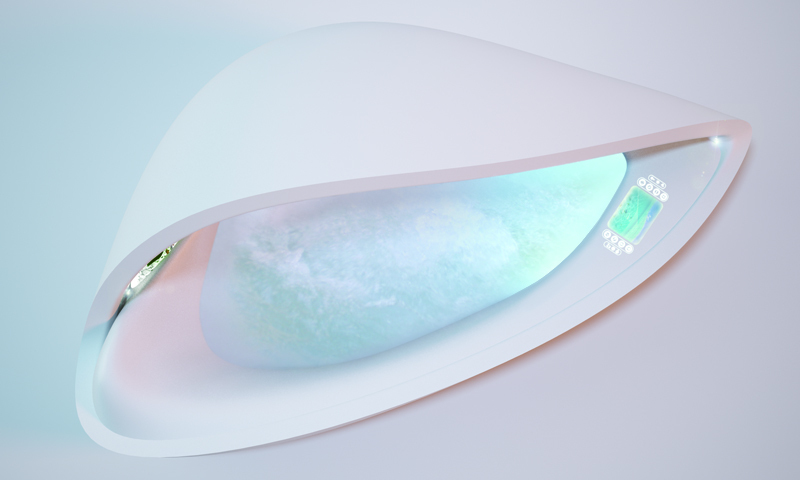 A touch interface lets you create your own combinations of lighting, sounds and aromatherapy. Choose one of the available wellness programs (relaxing, energetic, fun, tropical pleasure) or create your own and memorize it. 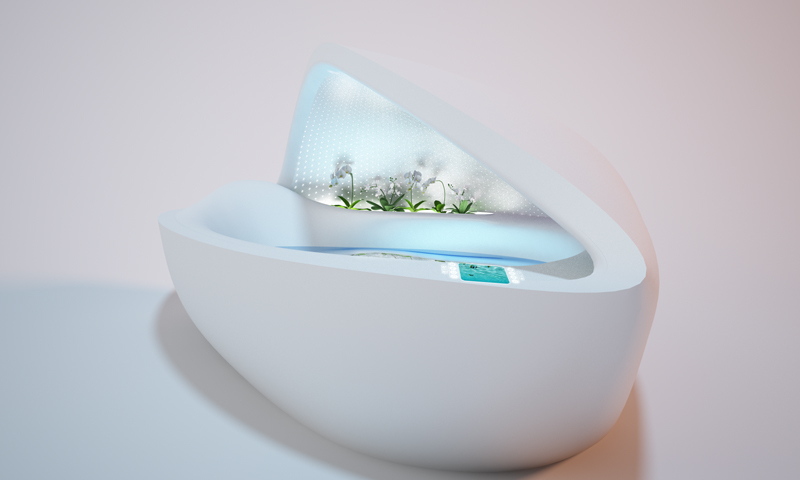 Integrated pots allow you to have a glimpse of nature when indulging in the bathtub. You can create a blend of your favorite plants and flowers, such as orchids and ferns. Hidden faucets and shower provide a feeling of perfect, all-in-one structure. 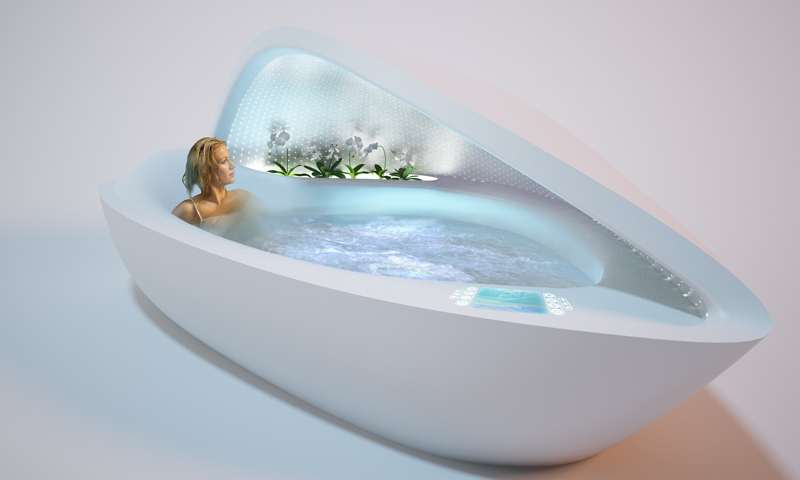 This bathtub is a scenic giant shell enclosing you and your microcosm.